Free Standard Shipping in US on orders of $40 or more. Students Are Eligible for An Additional 15% off. Free Headset Stand with order of a Siberia 800 or Siberia 840 Headset. Get a Free Wrist Rest and Free Shipping on the Apex M500 Keyboard. Get a Free Color Cover Pack and Free Shipping with order of a Rival 700 Gaming Mouse. 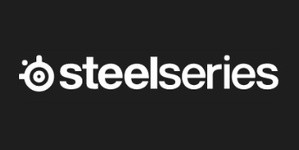 SteelSeries is a leading manufacturer of gaming peripherals and accessories, including headsets, keyboards, mice, software and mousepads.